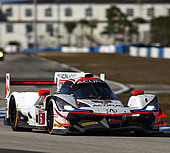 Dane Cameron joins the new Acura Team Penske DPi program for the 2018 IMSA WeatherTech SportsCar Championship after three successful seasons with Action Express Racing, which included winning the 2016 Prototype Championship. 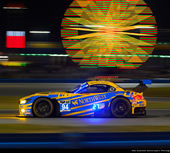 Cameron was also the 2014 GT Daytona series champion, racing for Turner Motorsports. 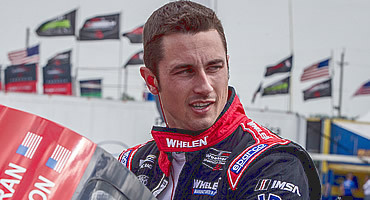 Cameron begins his career with Team Penske as the second-winningest driver since the merger of the American Le Mans Series (ALMS) and Grand-Am Rolex Sports Car Series, with 10 victories (overall and class), trailing only new teammate Ricky Taylor and Wayne Taylor Racing driver Jordan Taylor, who’ve combined for 12 wins since 2014. A native of Glen Allen, Calif., Cameron has always felt at home at a racetrack as his father, Rick Cameron, is a race engineer with over 40 years of experience in motorsports. 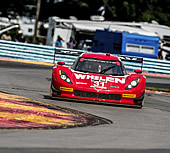 For the last three seasons, the two have competed against each other at the prototype level, with the elder Cameron serving as the lead engineer for the Spirit of Daytona racing team. Growing up with a race-winning engineer as a father, Cameron, predictably, brings a unique knowledge of car setups and how to maximize performance to his skill set as a top sports car driver. Cameron’s career started in karting and advanced to cars in 2005 when he produced six race victories and won the Formula Russell Series championship as a rookie. In 2006, he finished as runner-up in the F2000 National Championship and earned a Team USA Scholarship to participate in the Formula Palmer Audi Autumn Trophy in Europe, which he won. 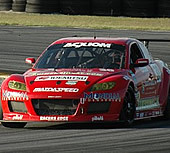 In 2007 Cameron competed in the Star Mazda series and captured the title with three race wins. He also made his sports car racing debut, driving for Chip Ganassi Racing in a Daytona Prototype. He graduated to the Champ Car Formula Atlantic open wheel series in 2008 – scoring a second-place finish from the pole in his debut race. Cameron switched his focus full time to sports cars in 2009, competing in the Rolex Series GT class while driving the Racers Edge team. He scored six top-10 finishes while racing with 10 different co-drivers. By 2011, Cameron began to make his mark – earning the pole, fastest race lap, most laps led and a race victory for Genoa Racing in the LMPC class at Sebring. 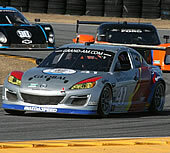 He also finished seventh in the GT point standings for Dempsey Racing. 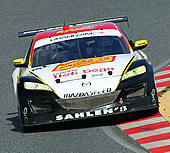 In 2012, Cameron scored his first Grand-Am Rolex Series GT win on his way to finishing sixth in the GT standings for Team Sahlens. 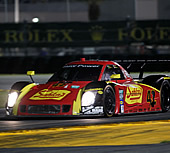 Cameron also made two ALMS starts with Dempsey Racing in LMP2 and recorded the fastest LMPC lap at Sebring. 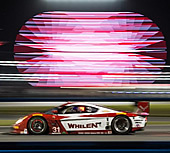 For 2013, Cameron graduated to a full-season Daytona Prototype class opportunity with Team Sahlens. Cameron’s speed was impressive, as he won the pole and dominated the race at Road America before suffering a driveshaft failure. 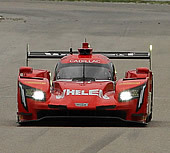 He also earned the pole and led laps in the final prototype race at Lime Rock Park. Cameron joined the PR1 Mathiesen Motorsports team for the final four races of the ALMS season to co-drive with Mike Guasch. 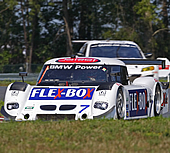 Cameron made his presence felt immediately as he captured three poles and produced superb race stints to help clinch the LMPC class championship. In 2014, Cameron dominated the GTD class championship in the newly formed IMSA WeatherTech SportsCar Championship and he quickly ascended back to the Prototype level, where he remains one of the sport’s top competitors. Cameron’s hobbies include cycling and turning laps at the Go-Pro Motorplex in Mooresville, NC. He’ll co-drive with two-time Indianapolis 500 winner Juan Pablo Montoya in the No. 6 Acura ARX-05 DPi as he seeks a second IMSA WeatherTech SportsCar Championship Prototype drivers title. Team Penske full-time INDYCAR driver Simon Pagenaud will also help drive the No. 6 Acura in the endurance races this season. 1 podium plus 2 top five finishes.